Home / News / Showbiz / Viral / Kilalanin Ang Napakagandang Dalagang Ito Na Pamangkin Pala Ni Angel Locsin! Sino Siya? Alamin Dito! Kilalanin Ang Napakagandang Dalagang Ito Na Pamangkin Pala Ni Angel Locsin! Sino Siya? Alamin Dito! Angel Locsin is one of the biggest stars in the showbiz industry. She’s best known for playing the iconic Philippine heroine ‘Darna’. But then, did you know that being a star runs in their blood? For your information, a new girl is capturing the attention of everyone not just because of her beauty but also because of her acting skills. While Angel Locsin gets busy with her projects on TV, her niece is also making her own name in the industry! A lot of people have no idea about her, but this young woman named Alyanna Angeles is actually Angel Locsin’s niece. 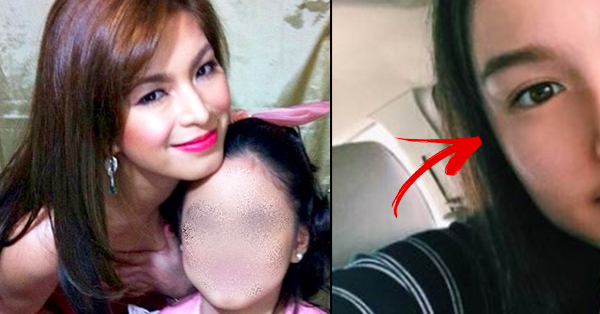 It turns out that Alyanna is a daughter of one of Angel Locsin’s cousin, making her, her niece. But do you know another thing that they have in common aside from their beauty? Well, just like Angel, Alyanna is a brilliant actress! Remember the teleserye ‘Ikaw Lamang’? It was Alyanna Angeles who played the young Isabelle (Kim Chiu) in the show. Aside from that, she also played the young Tin Manalo (also Kim Chiu) in ‘The Story of Us’. Since 2011, Alyanna Angeles has been appearing on several shows on TV. Her very first project was “Maria La Del Barrio” where she played Andrea Dela Vega, Enchong Dee’s daughter. After that, she was included in the cast of “Kung Ako’y Iiwan Mo” and before she appeared in “Kung Ako’y Iiwan Mo”, she first appeared in Aryana, a mermaid teleserye starring Ella Cruz. Alyana Angeles also got a chance to be paired with Zaijan Jaranilla. Just like her Tita Angel, Alyanna has been slaying both in real life and in every character that she plays!